Have you started grabbing your mouth lately to try and alleviate some of that pain you feel when you drink cold water? If so, it is time for you to look at the list of Stockton emergency dentists below. Tooth pain can be extremely painful and the problem with it is that it will not simply disappear on its own and you will have to sit and suffer until the problem is corrected. Yes, you can take a Tylenol, but how long until it wears off or your body becomes used to it? Dental pain can cause you to miss out on some of the most important moments in your life. Before you decide that you can handle the pain, take a moment to browse through and identify 24-hour Stockton emergency dentists below. You will be able to schedule an appointment with them to receive the care you need. In addition to 24-hour options, you will also find after hour and walk-in options too. If you are suffering from dental pain, you may start to look for a dentist who can see you and treat that pain, but it is more than likely going to be difficult, especially if you cannot head into the office sometime between 9:00 am and 5:00 pm. This is because most dental offices operate on a traditional business hour schedule, which limits the time they are open and limits the times you can head into the office. If you have a traditional 9 to 5 job, you will be left to deal with the dental pain until you have time off in the future. Fortunately, there are many emergency dentist options available to you in Stockton and you do not have to endure the weekend in pain. These dentists, who focus on emergency care, are ready to help patients and alleviate the pain that they are in. You won’t have to suffer days or weeks with a toothache. Stockton 24-hour emergency dental offices are available around the clock to provide you with the care you need and you can usually be seen within just minutes or an hour of calling in. This option is best for patients who need to be seen right now and cannot wait another day. In addition to Stockton emergency dental clinics, you will find that Stockton also has walk-in clinics and after hour clinics. Walk-in options are perfect for patients who need quick care, but cannot make it to the dental office by 5:00 pm. Most of these offices are open late, until about 6:00 or 7:00 pm and on the weekends. After hour clinics are ideal for patients who need quick attention. You will find these offices in Stockton are open until about 7:00 or 8:00 pm. If you have any type of tooth pain, you know that it can be very debilitating and it may make you feel down in the dumps because you must cancel your plans. The last thing you want to think about is trying to call a bunch of places and talk when your mouth hurts, but you do need to find a Stockton emergency dentist. Fortunately, we have taken the difficulty out of the process and you can identify emergency dentists in Stockton at a glance. All you should do is choose one you like and then call them to schedule your emergency appointment. While we cannot be assured that our distressing dental pain can be treated at any hour of the day, there is no doubt that you can receive urgent dental care in Stockton on evenings, Saturdays, Sundays, and even during after hours. You only need to know where to start and we have tried to help you on that end when you find yourself in a red alert situation. It also may serve you well to bookmark this website in the event that you need help again in the future. The last dental dilemma you want to face again is trying to locate help without a resource to turn to. So feel free to take advantage of our research. Description Call to be connected with the perfect dentist for you. Stockton is a large city and we have the connections to find a dentist to fit your needs, and can get you an appointment immediately. Your efforts to find a dentist open on Saturday in Stockton, CA or on the weekend or evenings may very well have ended with this dental practice. Dr. Jasbir Cheema has been practicing in the Tri-Valley area since 2001. His dentistry services include general dentistry, periodontics, and cosmetic dental care. If you are struggling with an acute dental crisis and a walk in dental facility is what you seek, then consider one of the locations listed above. The dental team of professionals include an orthodontist, Managing and Associate Dentists, and well trained hygienists. This emergency dental clinic in Stockton, CA may be the answer you are looking for if you are plagued with a pressing dental predicament. You may ask, how is this clinic different than the dental emergency room. Well, first of all, emergency rooms are largely set up to handle many types of urgent issues, but dentistry is generally not their cup of team. Therefore, you want to focus your time on considering those facilities that can provide you with timely emergency dental care in Stockton. Dr. Nokrashy and Smiles Depot Dental, may very well be the place you need to get to in a hurry if you find yourself mired in distress. 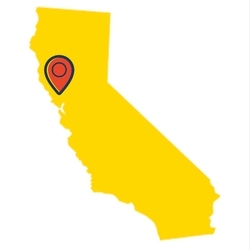 Other locations for this dental practice include Lodi, Lathrop, Manteca, Ripon, French Camp, and Modesto. Description: The great staff here at Brookside is open for you even on Saturdays: you can come here from 9AM till 3PM and make sure that your dental health is sound and secure. Bring yourself or anyone in your family to assure that the need for root canal therapy, cracked or broken tooth repair, or injury to the jaw will be cared for properly. Don’t wait for a self-diagnosis or other elements to make you feel better, and visit these Stockton professional dentists today. Finding a walk in dental office can be quite valuable and this weekend dentist in Stockton, CA is open to manage whatever severe dental pain you may be experiencing. With evening hours and Saturday dental appointments available, you can get much needed immediate dental care during those times when an oral injury occurs over the weekend or late at night. You are encouraged to call them at the number provided , no matter the hour. If you need a walk in dentist in Stockton, Ca, they welcome your patronage. They state you will not be ignored or over charged in your time of dental crisis and that comes in handy when you need a dentist but no insurance can be used to pay. Some of the benefits and services this dental clinic offers include free consultations, 24/7 scheduling, same day appointments, versatile financing options, most insurance coverages accepted, and weekend appointments. This dedicated dentistry clinic is glad to manage you local emergency dentist needs. The very friendly and knowledgable staff here is dedicated to meeting your needs as a patient by using comprehensive care techniques guided by very advanced technology. This clinic does not offer 7 day a week service, but will treat every single dental emergency as if you are the only patient they are seeing all day. Located right on Trinity Parkway, this is a wonderful location that you can visit for extractions, root canal therapy, loose or cracked teeth, or to check up on a nagging aching tooth. Putting off going to the dentist is a stunt that many in the very busy and populated state of California pull; please get to this emergency dentist right away if you are experiencing pain, and need to be seen by a pro. Description: Open until 6PM during the 4 busiest days of the week when you will need them most, the professionals who staff this clinic are eager to ease you into a state of comfort. It may be a constantly aching tooth, need for root canal therapy, or even a routine checkup you are after. The folks who work here will make you feel at home in a heartbeat, and make sure that you are taken care of in the best fashion possible. When you visit a Stockton emergency dental office, you will find that it is not different than your traditional dentist’s office. In fact, the only difference may be that you are receiving dental care at 2:00 am. Before you go to the office, you should inquire over the phone about pricing. If you do not know what procedure you need to have done, ask to receive a quote for some general procedures. This way, you have an idea of what you need to pay. Most dentists will require payment upfront, so do be prepared to make a payment before you even receive treatment. You should let the dental office know if you have dental insurance so they can bill you properly. If you have never been to your chosen Stockton urgent care dental office, you will need to fill out paperwork about your medical and dental history. This process will take about 15 minutes, so do arrive with enough time. If you have been in the office before, you may need to update your information if it has changed. If you have any known allergies, it is important for you to let the front office know as well as the dentist. This way there are no problems. In addition, if you have dental anxiety, you should let the office know. If you have severe tooth pain, now is the time to stop trying to treat it yourself and visit a Stockton emergency dentist. There are several complications that can arise and lead to a dental emergency. Unfortunately, some of these issues appear almost overnight and others will take time to form in your mouth. Either way, they need to be addressed or else you may face serious complications or the infection may spread to other teeth. All dental emergencies in Stockton need to be assessed by a professional in a timely manner to stop any further issues that may arise. Emergency dentists in Stockton are prepared to look at your teeth and provide you with the emergency procedures you need. Reading any of the information provided to you on emergencydentistsusa.com is not a substitute for professional medical advice and should only be used for informational purposes. If you are experiencing any of the dental emergencies below, call an urgent care dentist in Stockton right away. A dental abscess is an infection that forms in your mouth and can present itself between two teeth or it may form near the root of your tooth. This is a serious condition and it requires immediate emergency dental care. 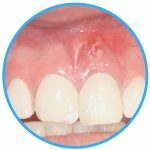 You should avoid touching the abscess or trying to drain it, as this can spread the infection to other parts of the mouth and body. You should rinse your mouth out with lukewarm saltwater and apply a cold compress to the exterior of the cheek if you experience any swelling. You should seek out urgent dental care offered by a local Stockton emergency dentist. If you have an emergency toothache, it may be caused by tooth decay or it could be something as simple as a piece of food caught in between your teeth. The first thing you should do is rinse your mouth out with lukewarm water. You should then attempt to floss your teeth to remove any food that may be stuck. If this does not solve the problem, you should place a cold compress on your cheek to reduce swelling and you can take an over-the-counter pain reliever such as Aleve or Tylenol. If your toothache does not subside, you should call your local urgent Stockton dental clinic to be seen immediately. If you have loose braces, it is important that you do not try to remove them, as you may injure yourself or damage your other teeth. You should avoid touching them or wiggling them to see how loose they are. 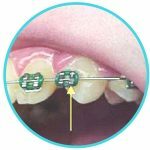 You want to take steps to ensure you protect your mouth, such as re-attaching any loose braces with a piece of orthodontic wax. You can also use the wax over any areas that may be sharp or causing you pain. It is important that you call your local Stockton emergency dentist to be seen immediately if you have loose braces. 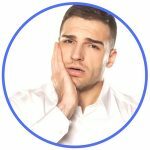 When you experience severe tooth pain, you may find that the emergency dentist in Stockton recommends that you have a tooth extraction performed. Most of the time, dentists will only request that an extraction is performed when the tooth cannot be supported by other means such as a filling or a crown. If you are told that you need to have an extraction, you may have a serious dental problem that needs immediate attention and the longer you allow it to persist, the worse it will become. If you do not receive the extraction you need, you may find that your other teeth become problematic as well. It only takes about a day or two to recover from the extraction and some patients do not even need time to recover. Your emergency dentist in Stockton will provide you with an aftercare sheet, but here are some additional tips to help you. The emergency room may seem like the right place to head with your dental problem in Stockton, right? While it does seem that way, it is not the best choice and here is why. Medical doctors are not trained to perform dental procedures, which means they cannot help you. They may be able to prescribe you some medication and they will check to make sure that your situation is not life-threatening, but that is about the extent of the care they can provide. You would be much better off if you were to visit a local Stockton emergency dentist. These dentists have the proper tools on hand to provide you with the dental procedure you need to eliminate the pain and discomfort you feel. There are times when you should visit the ER and this includes when you have been in an accident or sustained trauma, you have hit your head, you have fallen down, or you have a broken jaw. If you think that you may be experiencing a dental emergency and you cannot find a 24-hour Stockton emergency dentist, you should head to your local emergency room or call 911 immediately. The emergency room is unable to provide actual dental procedures, but they can look over your mouth to determine how serious the condition is and if it is potentially life-threatening. For instance, the ER would be able to assist if your jaw was broken. The doctors on staff may prescribe you a pain reliever to hold you over until you are able to get an appointment with your Stockton dentist. Tooth pain can be very debilitating and you may spend your weekend in bed ready for the pain to simply just disappear. Unfortunately, it will not disappear until the root cause is handled. In addition, a delay of care can cause serious complications. Emergency Dentists USA is a website that should be used for information only and should never replace the medical advice from a trained professional. If you are experiencing a dental emergency and cannot reach a dentist, call 911. It is recommended that you always check and verify the credentials and licenses of any new dentist that you plan to visit. You can check the local Stockton dental society or you can look at the Dental Board of California and the California Department of Consumer Affairs too.